4K RAW Test Footage of the Grand Rapids skyline shot with the Sony FS-700 and Convergent Design Odyssey 7Q Recorder. Processed with Adobe Lightroom and Adobe After Effects. 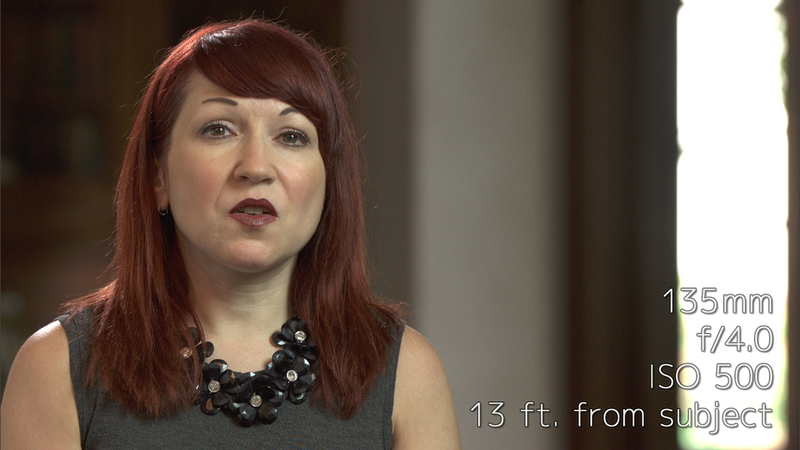 Below is a series of still frames that show the effect of focal length on an interview subject. Focal lengths of 35mm and shorter are considered "wide-angle" focal lengths while those of 85mm and longer are considered "telephoto". We filmed six shots of Nicole at six different focal lengths while maintaining the same aperture and ISO settings for each shot. 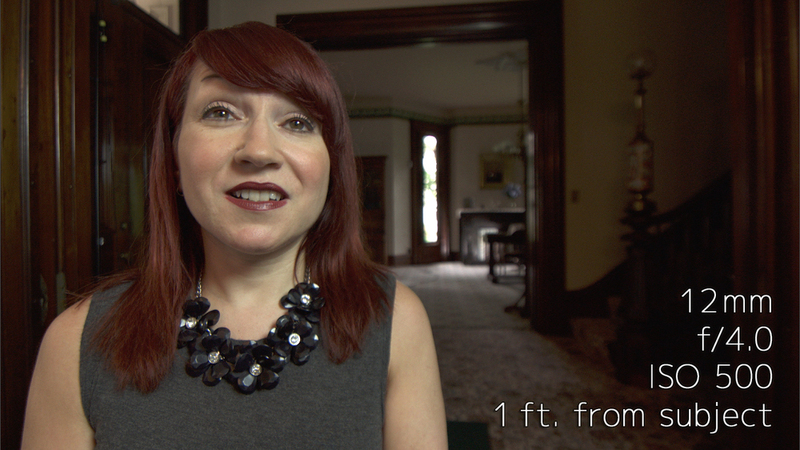 For each different focal length, we changed the distance between Nicole and the camera so that she occupies the same rough area of the frame in each shot. The first two shots show the telephoto focal lengths of 135mm and 85mm:As you can see above, longer focal lengths tend to “flatten” images: the nose and fine lines on our subject’s face are less exaggerated, and the background appears closer to our subject (a phenomenon known as “background compression”). And because the background appears to be closer, longer focal lengths reveal less of the background area behind our subject, resulting in a more “intimate” or “cozy” aesthetic. The fact that longer focal lengths also reduce depth-of-field, making it easier to throw the background behind our subject out-of-focus, contributes to this aesthetic. The next shot shows a 50mm, or "normal" focal length. Our eyes are similar to 50mm fixed focal length prime lenses, so this is a very "natural" look. Notice that the background in this shot below appears to be a bit further away from our subject and a bit more in focus than in the telephoto examples above. The next three shots use 35mm, 24mm, and 12mm focal lengths respectively. These focal lengths tend to exaggerate depth in images: facial features such as the nose and fine lines become enlongated, while the background appears to be farther away from our subject. This enlarged apparent distance from the background to the subject reveals more background area behind the subject, resulting in a “broader” and more “open” feel to the scene. Shorter focal lengths also increase depth-of-field, allowing more of the scene to stay in focus and enhancing the more “open” and “broader” aesthetic. However, focal lengths shorter than 28mm begin to produce deformations in the image such as barrel distortion, which causes horizontal lines to appear curved, and keystoning, which causes vertical lines to tilt inward towards the center of the frame. 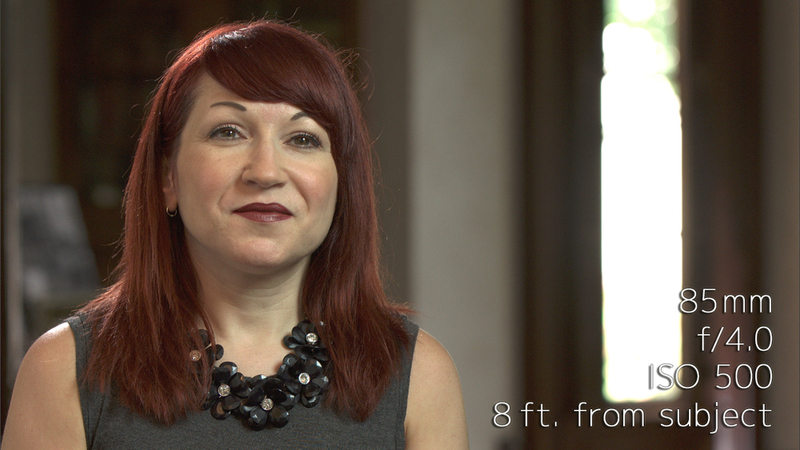 Such deformations are not flattering on a human interview subject, and should be avoided. As mentioned above, the 24mm and 12mm focal lengths are not the best choices for filming interviews. When you compare the 12mm focal length image to the 135mm focal at the top of this post, you can *really* see the effect of focal length on an interview subject! Shooting for the State Hospital Project documentary film - filming B-Roll at the now closed Ionia State Hospital (later known as the Riverside Correctional Facility) today. Thanks to Daphne Johnson for working with us on the location agreement and site permissions! Shooting for the State Hospital Project documentary film - interviewing Bob Lathers in Ionia, MI today. Thanks to Linda Ciangi for all of her help! Joshua is now certified as an Adobe Certified Expert in Adobe Premiere CS6! 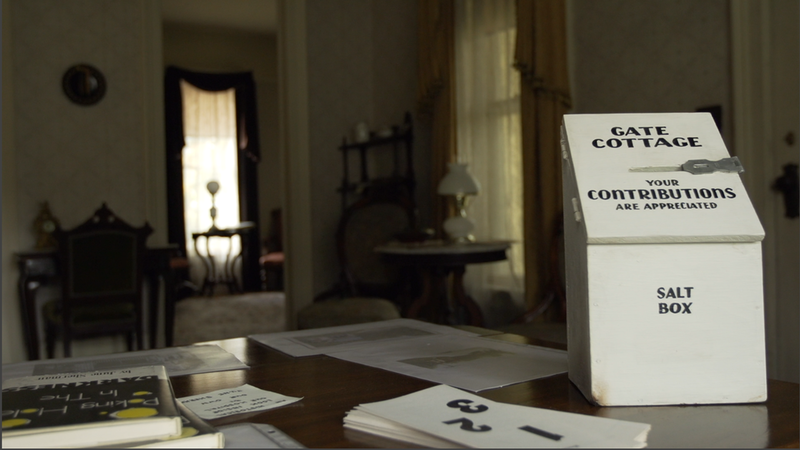 Shooting for the State Hospital Project documentary film - filming some old archival photos in Ionia, MI today. Thanks to Mike Gallagher for all of his assistance! Shooting for the State Hospital Project documentary film - in this video, Joshua Pardon compares interview & B-Roll footage shot simultaneously to both the Sony FS-700 and the Convergent Design Odyssey 7Q. The FS-700 footage is AVCHD and the Odyssey 7Q footage is ProRes 422 (HQ) - both are 1920 x 1080 HD. 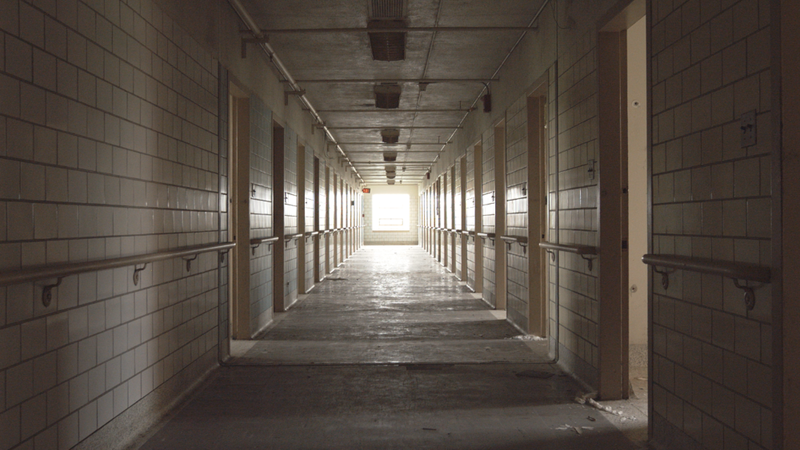 Footage used for this comparison was filmed in Michigan for the "State Hospital Project" Documentary Film. Shooting for the State Hospital Project documentary film - filming some very old (almost 100 years!) archival documents at the Jackson County Probate Court today. Thanks to Bruce Crews for accommodating! 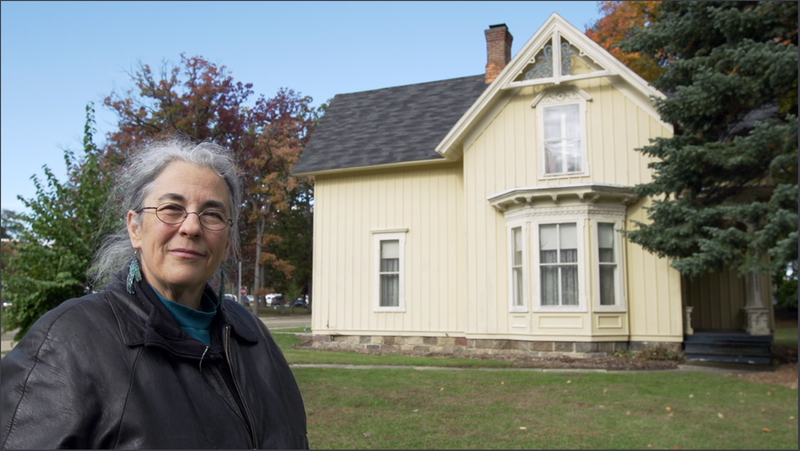 Shooting for the State Hospital Project documentary film - conducting interviews with Kate Davis and Maria Marks today at the Plymouth Historical Museum in Plymouth, MI today. Thanks again to Heidi Nielsen for helping us to film at the museum! Shooting for the State Hospital Project documentary film - interviewing Liz Bauer at the Plymouth Historical Museum in Plymouth, MI today. Special thanks to Heidi Nielsen for helping us to film at the museum! We’d like to introduce the first in (what we hope will be) a series Q&A interviews with TV & video production professionals. First up is accomplished classical musician and conductor Dr. Oriol Sans, who stands at the intersection between live music production and live TV production in his duties as the Score Reader of the Detroit Symphony Orchestra. Joshua: Thanks so much Oriol, for agreeing to do this interview. First, a brief bit of background: where are you from originally, and where did you receive your training? Oriol: I grew up in a small town in Catalonia, outside Barcelona, in Spain. My music training started when I was 5 years old, and lead me to become a member of the Escolania de Montserrat, the oldest boys’ choir in Europe. It was there where I started studying piano and violin, instruments that I continued playing during high school. I split my college years between the Pompeu Fabra University, where I received a Bachelor’s Degree in Humanities, and the Barcelona Conservatory, where I obtained degrees in both Choral Conducting and Orchestral Conducting. In 2006 I brought my musical studies to the University of Michigan, where I achieved my Masters of Music in 2008 and a Doctorate in Musical Arts in 2011, both in Orchestral Conducting. Joshua: Like many working artists and television professionals, you seem to have quite a few gigs going on simultaneously. Can you tell us about them? Oriol: I am a freelance conductor, I have been invited to guest conduct orchestras across the US, Mexico and Canada. Among those, the New Mexico Philharmonic, the San Juan Symphony in Colorado, and Orquesta Filarmónica de Jalisco, in Guadalajara, Mexico. In addition to this, I worked as cover conductor for the Detroit Symphony Orchestra, the Ensemble Orchestral de Paris, and the Gulbenkian Orchestra in Lisbon. All of these engagements have to align with my production work at the DSO, where I was recently appointed as the Artistic Director of Webcasts. One of the aspects of the job is Score Reading. Joshua: Describe the job of the Score Reader in a televised classical musical performance. What exactly does a Score Reader do? Oriol: Usually, a Score Reader is a conductor or someone who is able to follow a musical score (some of them are very tricky to follow) who sits in the booth and calls the shots of the next instrument needed on camera. Usually, a score with all the shots marked is provided to him/her. However, at the DSO my job starts much earlier than that, since it includes deciding the shots and marking the score. Earlier in the week, I attend at least one of the rehearsals, to see how the orchestra is placed on stage, the conductor’s style –especially with guest conductors– and any other specific characteristics of the concert. That is crucial to me to plan the shots and have a good visual element of the production. It is important that all the shots are marked on the score before anybody else in the production team gets involved. That first part of the process hasn’t changed much since I started, but what comes next has evolved since then in many ways. When I started in 2011 we had four camera operators. During the camera rehearsal and the actual performance I called the next two instruments in order, and a “GO” when it was the time for the shot change. The work of the director was to call the right camera to get that instrument before it was time for the shot. There was a lot of shouting. In 2013 we introduced a big change that really affected the quality of the final product: shot lists. We had thought about creating a shot list before, but it wasn’t very useful since it was only used by the director. Implementing a database software, we created a system that really served our needs: once the shots were introduced in the system, the director could easily set the cameras in advance, and the same system created not only the complete shot list for the director, but specific shot lists for every camera operator with thier own shots only. The activity in the booth was much less stressful and more accurate to what the designed plan was. Another big change that made us tweak the process once again, was the switch from four camera operators to six robotic cameras that can store 16 presets each. Now, once the shot list is prepared, we use one of the rehearsals to store the presets we need for every show. The director finalizes the shot list during this rehearsal, based on what every camera can get. With all these changes we shifted the workload from being very heavy on the day of the performance for both the tv director and the Score Reader to a more complex preparation that allows the production to achieve much better results with less stress on the day of the performance. Joshua: What do you like most about being a Score Reader? Oriol: I enjoy many aspects of my work: the artistic piece of deciding the shots that is part of my position as the Artistic Director, and the performing part of it, linked to my role as Score Reader. As a conductor, nobody had told me about this job before. With my work with the webcasts, I learned to look at the scores from a visual perspective: deciding which section is more interesting to see, or how a different pacing of the shots creates a very different visual concept of the music. The performing aspect of score reading attracts me as well. During the concert, being a live production, anything can happen, and sometimes it does. Despite our preparations, we have to be equipped with the skills to do this work “on the fly,” changing or adding shots, improvising with what we have. I think that having a talented and consistent team makes it possible and enjoyable at the same time for both audiences and the production crew. You are absolutely right, there was no application. When the Detroit Symphony Orchestra decided to start with a regular webcast season in September 2011 Scott Harrison, the DSO Executive Director of Board Engagement and Strategy and Executive Producer of Digital Media, contacted my former Conducting Professor at the University of Michigan, Kenneth Kiesler, asking for a current or former conducting student in the area who could do it. I must be honest, when I received Scott’s call I said yes without knowing exactly what the job implied… It is a job that requires the skills of a conductor, but only the job can prepare you to do it. I am very happy that I had the opportunity and I took on the challenge. Joshua: As someone who found their way into the TV business from the classical music world, give us your thoughts on the process of producing live television. Oriol: I think it is great the Classical Music world is incorporating more visual elements like these live webcasts, which have a worldwide impact. Our society values the visual aspect more every day and Classical music cannot stay out of it. People don’t only want to listen to an orchestra; they want to see the sweat of the soloist dripping down his or her face. At the same time, these visual elements have to be in concordance with the music. One of the dilemmas I always have while preparing the shots or even in the booth is the pacing of the shots. If you check any televised production of Classical Music of the 80s and 90s you will notice that the shots are longer than we are used to now. I guess that’s the result of the influence of sports and movies, and in these live webcasts we try to incorporate this modern visual taste, always keeping in mind the resources we have (the number of cameras) and that it can’t be too distracting from the music. A couple of resources that help us on that direction are the pans and zooms, which allow us to have longer shots and at the same time movement for the viewer. We can’t forget though, that the goal is to showcase the music at any given time. Joshua: Thanks for your time, Oriol! Link to a NY Times article about the Detroit Symphony Orchestra's streaming efforts here. Shooting for the "World's Greatest" Television Show in Ann Arbor, MI today! Shooting for the State Hospital Project documentary film - a look into our process for filming artifacts (old photographs, books, documents, etc.) 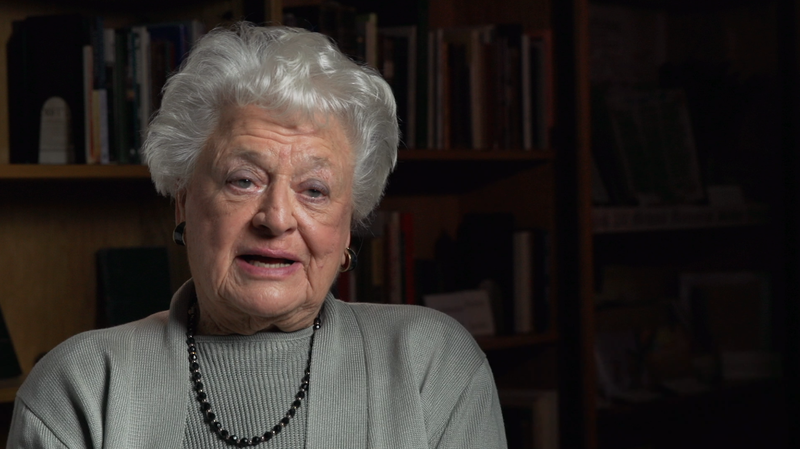 for Documentary B-Roll: As promised in an earlier post, we recently returned to Spring Arbor to film archival stills and other materials. The FS-700 camera slides laterally across the length of the Pocket Dolly. The Pocket Dolly has a dampening knob that increases resistance along the slider track for slower camera moves. The composition of the shot can be adjusted by zooming in or out with the camera lens or by panning the tripod left or right. Perspective can be manipulated by tilting the tripod head up or down or adjusting the height of the tripod legs. I'm very fortunate and proud to have done some editing work on this program for Detroit Public Television. Check it out! Shooting for the State Hospital Project documentary film - here are some stills from recent shoots in Kalamazoo, MI and Spring Arbor, MI. 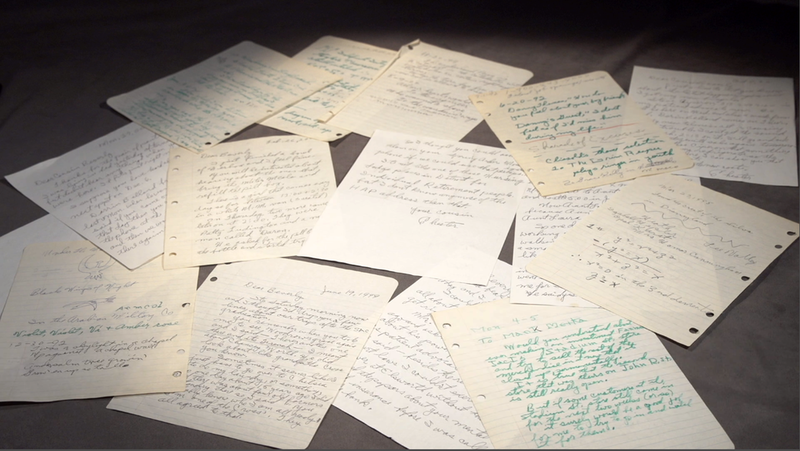 We'll return to Spring Arbor in December to film archival stills and other materials for this documentary film project. Thanks to Susan Panak and Sharon Ferraro for their kind assistance! Fstoppers - Tips For Making A Better Video Demo Reel That Can Get You New Clients. Shooting for the State Hospital Project documentary film - Joshua Pardon compares test footage shot with the "Cine 1" and "Cine 4" Gamma settings on the Sony FS-700 camera. Test footage was filmed during an interview shoot at Trattoria Stella in Traverse City, Michigan for this documentary film project. This is *not* a technical comparison - this is an aesthetic comparison. For a great technical explanation of Cinegammas on the FS-700, please check out Art Adams' Sony FS-700 Dynamic Presentation at Pro Video Coalition. This article from XDCAM-User.com on Understanding Gamma, Cinegamma, Hypergamma and S-Log addresses Cinegammas in a broader context. Noah Yuan-Vogel has his own nLOG setting for the FS-700. This is some higher-level stuff, so make sure to do some test shooting first before using these settings in the field. Shooting for the State Hospital Project documentary film - here's a still of Joshua at Trattoria Stella, a truly amazing restaurant located in what was formerly known as "Building 50" at the old Traverse City State Hospital. Next up for this documentary film project, we'll be shooting in Pontiac, MI and interviewing the author of a book about the old asylum at Pontiac.